Battery manufacturers are seeing robust demand accruing from the automobile sector. However, demand from telecom, within the industrial segment, continues to be a spot for bother. Higher lead and sulphuric acid prices, , both key raw materials (RM), is eating into the profitability of battery manufacturers. 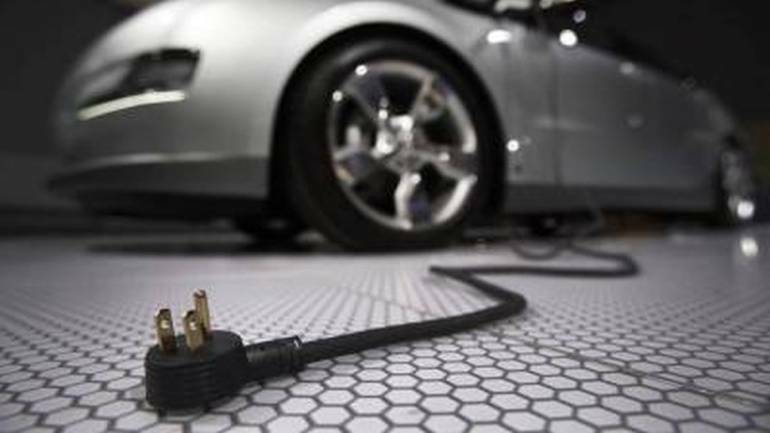 The upcoming disruption, led by electric vehicles (EV), poses a plethora of challenges to these entities. Battery, being an essential component of an EV, would force manufacturers to invest heavily in technology and R&D. EV, however, is in its nascent stage and would take time to become a reality. We analyse the recent quarterly financial performance of battery manufacturers, likely catalysts for their growth and impediments in moving towards EVs. In terms of Q1 FY19 performance, ARBL posted an 18.8 percent year-on-year (YoY) growth in net sales, led by 30 percent volume growth in the automotive segment. The industrial segment, however, continues to be under pressure due to continued underperformance by telecom. Other segments within industrial posted double-digit growth. 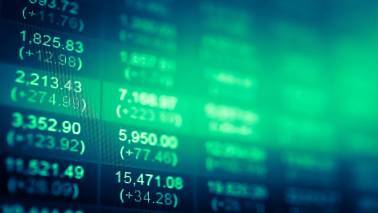 Earnings before interest, tax, depreciation and amortisation (EBITDA) margin contracted 49 basis points due to higher sulphuric acid costs (higher 70-80 percent) and lead prices, which was up 14.8 percent. The impact of this was partially offset by reduction in operating and employee expenses. Moreover, product mix was tilted towards original equipment manufacturers (OEMs), with trading impacting EBITDA margin negatively. Exide’s net revenue grew 32.6 percent on robust demand from the automotive segment. Growth in UPS (uninterruptible power supply), telecom and solar remained strong during Q1 FY19. 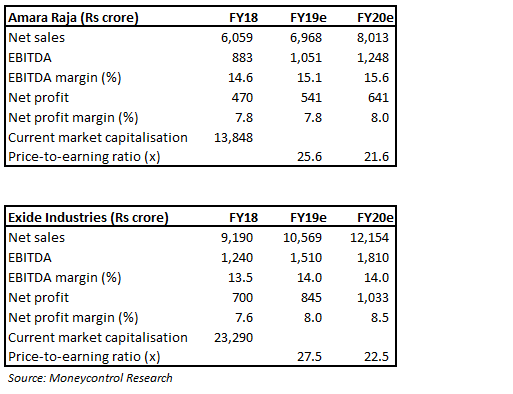 On the operating profitability front, EBITDA margin contracted 141 bps primarily due to significant rise in RM prices as a percentage of net sales. RM prices rose due to a 14.8 percent rise in lead prices. This coupled with rupee depreciation versus the dollar impacted margin. The fall in margin was arrested by lower operating and employee costs. Unorganised battery manufacturers command around 40 percent of the market. GST implementation has positively impacted sales of organised battery manufacturers. It has led to a meaningful shift from unorganised to organised players due to price competitiveness. This is evident in the 18 percent YoY growth in automotive battery volume reported by ARBL. Exide is also targeting the unorganised market by pushing competitively-priced products. ARBL is focusing on inverter market as it is very fragmented and unorganised. Post-GST, a company like ARBL would be reaping the benefits. Price of lead price has started to ease and was down 4 percent YoY in Q1 FY19. 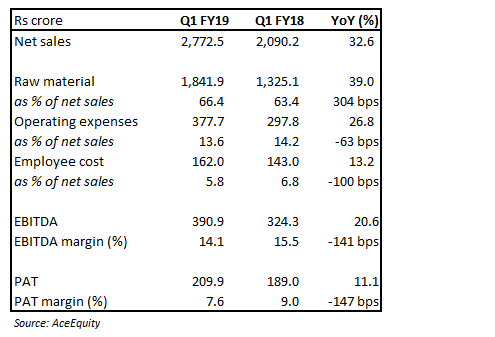 At present, lead is down 9 percent from Q1 FY19 levels. This coupled with price hike undertaken by companies to offset higher RM prices would help in margin expansion. ARBL’s capacity utilisation in the automotive segment stands at 90 percent. The management plans to expand capacity to meet growing demand. It plans to expand its automotive capacity to 36 million units by FY20 from 25 million units in FY18. The management has guided for capital expenditure of Rs 500 crore over FY19 and FY20. Inverter capacity is also running at complete utilisation. The management plans to increase it to 110,000 units per month from 80,000 units per month as of now. Exide continues to focus on technological upgradation and cost reduction through technology. Recently, it collaborated with Switzerland-based Leclanche to build lithium-ion batteries and energy storage solutions, which would be used in EVs. Lithium is one of the key RM used in the manufacture of li-ion batteries and most of its reserves are concentrated in South America (70 percent of all). Sourcing this would be a challenge for Indian battery manufactures and would require government support. An EV requires its battery to have high energy density and storage and fast charging abilities. Indian battery manufacturers are yet to source/develop the technology to manufacture batteries that have these capabilities. Exide’s collaboration with Switzerland-based Leclanche is one step in that direction. ARBL is also using superior technology (tubular flooded batteries) to provide batteries to e-rickshaws. In terms of valuations, ARBL is currently trading at 25.6 and 21.6 times FY19 and FY20 projected earnings. 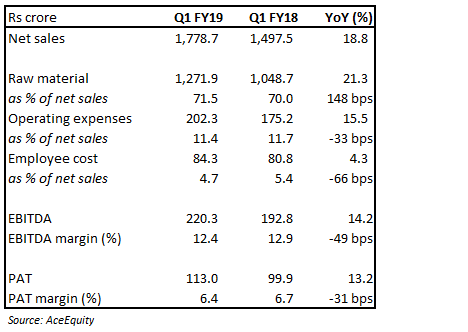 The same for Exide stands at 27.5 and 22.5 times FY19 and FY20 projected earnings. We advise investors to accumulate these in a weak phase.